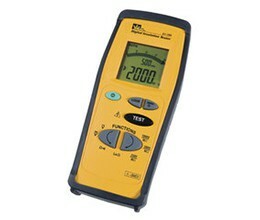 We have a full line of advanced test instruments that do the job faster, safer and easier. They’re rugged, versatile and built to last. An electrical meter with integral AC current clamp is known as a clamp meter. 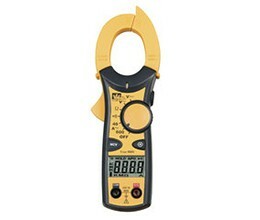 A clamp meter measures the vector sum of the currents flowing in all the conductors passing through the probe, which depends on the phase relationship of the currents. A multimeter also known as a VOM (volt-Ohm meter) is an electronic measuring instrument that combines several measurement functions in one unit. 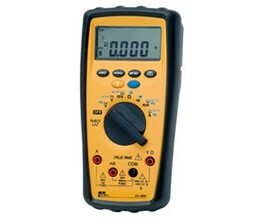 A typical multimeter would include basic features such as the ability to measure voltage, current and resistance. A circuit tracer is designed to simplify electrical troubleshooting work. 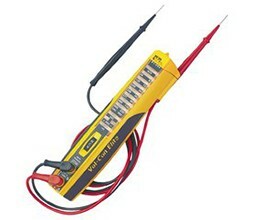 The device helps electricians determine which wires are used to connect a malfunctioning outlet to the main power source. Use this handy and convenient instrument to quickly identify 110/220VAC power circuit and wiring problems. 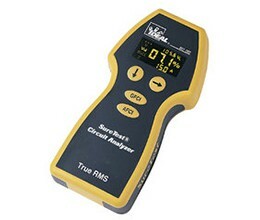 This AC circuit analyzer can help improve safety by ensuring circuits and wires are functioning correctly and that there are no potential causes for fires or other damage. Use it for troubleshooting or preventative maintenance. 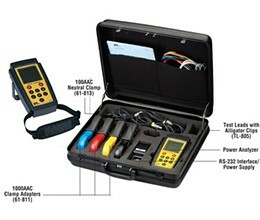 Quality test equipment for measuring and analysing power quality in commercial and industrial electrical power systems. 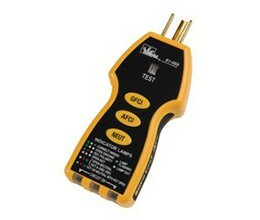 An insulation tester check the quality of the electrical installation. The insulating materials coating the copper conductors can be nicked, chafed or nibbled by rats either during installation or during it’s lifetime. 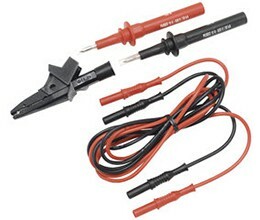 The tester generates a high DC voltage of around 500V to 1000V. This high voltage is applied in series with a sensitive ammeter to one conductor to electrical earth or between two open circuit conductors. 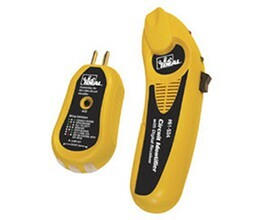 A voltage detector is a device that tells the user whether an object has an electrical charge. It can be a simple pen-shaped piece of testing hardware that indicates the presence of electricity, or it can be an advanced tool used to detect precise voltage levels in electrical systems. Voltage detectors use either visual or audio cues to tell the user whether voltage is present. A range of testers including split-jaw smart meters, circuit breaker finders, socket testers and voltage sticks. 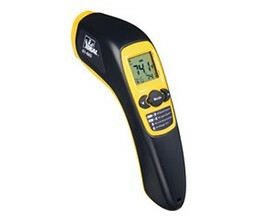 A range of testers including digital light meters, infrared thermometers and 3-phase motor rotation / sequence testers. A range of carrying cases, test leads, batteries and fuses as well as thermo couples, magnetic straps and current clamp adaptors.